It is not only the digital divide and the contingent possibilities of market expansion which Big Tech is claiming to ‘solve’ with these ambitious infrastructural projects. Climate change, healthcare, forced migration, democracy, and automation are all staked out in branded promotional media as challenges which have imminent technological solutions—just a few ‘versions’ away. In such media, we are pushed forward into a time where these complex issues have been resolved, becoming conspicuous non-features of everyday life, unrecognized background conditions that allow us to marvel at the much more spectacular and exciting business of glossy technological innovations: the familiar gesture-controlled sheets of glass, the smart-everythings and the augmented-anythings. Stills from Microsoft’s Productivity Future Vision from 2011. In these ‘design fictions’, as the Brazilian theorists Gonzatto et al. call such marketing campaigns, present crises ‘are anticipated and solved by technology’, proffering resolutions that ‘nurture consumers into consumption habits and convince investors of their capacity to fulfil those same demands’. In this way, design fictions are replete with ‘solutionist’ fantasies where digital technology is positioned as a corrective to the challenges and irregularities of living. Solutionism, what Evgeny Morosov describes as an ‘intellectual pathology’ that can only consider problems in the form of their smart technical ‘fix’, nullifies any wider discussion of the problem at hand, abstracting the proposed resolution from the historical, social and political context of its implementation. Therefore, whilst it is hard not to be seduced by the glossy ingenuity of projects such as Aquila and Loon, we ought to take a moment to question the frictionless future championed in these grand projects. The crises opened up and subsequently ‘solved’ by Big Tech companies scaffold the realm of present and future possibilities for our collective engagement: to determine a set of relations as constituting a crisis is to justify and arrange the ground for its resolution. For this reason, it is important to ask: Whose crisis is it anyway? Who has defined the problem that needs solving? And whose interests are being served by these proposed solutions? With such queries in mind, the benign qualities of design fictions are problematised, and their rootedness in the techno-politics of the present become plainly visible. 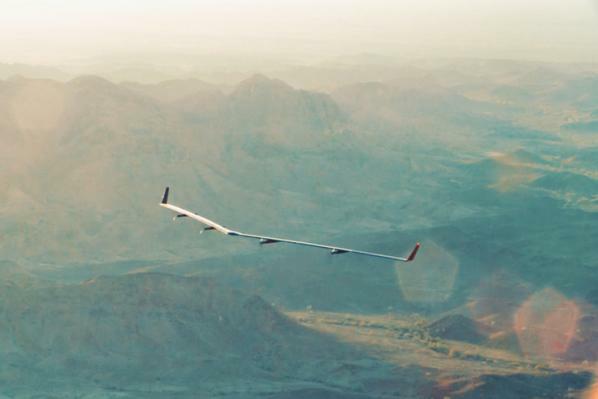 Image of Facebook’s Aquila drone mid-flight. The recent publication of Mark Zuckerberg’s Building Global Community manifesto affords such queries a timely focal point. At stake in Zuckerberg’s far-reaching manifesto is, in essence, the role that Big Tech can play in global governance. More specifically, it proposes the positive contribution that can come from Facebook’s direct engagement with the tasks of local and national security, the distribution and moderation of information, governmental politics, and fostering a post-national communalism. These are indeed lofty ambitions, even for a company that boasts a quarter of the world’s population as monthly active users. However, Facebook purports to relish such a challenge, motivating employees by reminding them that the “journey is 1% finished”. The ‘journey’ in question here is the fixing of what Facebook sees as a crisis of disconnection experienced by those almost exclusively situated in remote regions of the Global South. 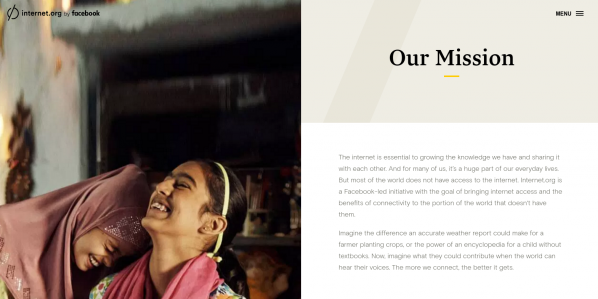 Facebook asks us to imagine how much better the lives of these ‘disconnected’ people could be if only they had access to the same degree of internet connectivity that those of us in the Global North enjoy on a day-to-day basis. With these sentiments in mind, the remainder of Facebook’s arduous voyage will largely be accomplished through the development of high-profile projects such as Internet.org, where the polished graphics of constituent programmes such as Free Basics and the aforementioned Aquila act as ethical avatars for Facebook’s very own brand of solutionism. Screenshot of Internet.org’s Free Basics programme webpage. Zuckerberg claims that, ‘in times like these, the most important thing we at Facebook can do is develop the social infrastructure to give people the power to build a global community that works for all of us’. Free Basics aims to provide a free-as-in-beer (but not free-as-in-freedom) curated portal to specific sites on the internet, providing information about healthcare, news, employment, and education to individuals who might otherwise live offline and thus disconnected lives. The humanitarian rhetoric follows that bringing ‘people online’ will ‘help improve their lives’ and additionally offer these societies ‘knowledge’, ‘tools’, and global connections—these are fundamentally good things worthy of our support, right? The predictable catch is revealed in Internet.org’s promotional material, whereby companies prospecting for new markets are offered a head-start on reaching ‘the next wave of people coming to the internet’, albeit through Facebook’s technical infrastructure and curatorial apparatuses. Such philanthropic endeavours, if successful, assist in consolidating the corporation’s present hegemonic position in future scenarios. For governments struggling with establishing network infrastructures, Free Basics proposes an attractively simple solution that, with Facebook’s capital and clout, can be quickly deployed and established. It is however a valuable foothold, one that prescribes a developmental course that entangles the technical apparatuses of the corporation with the task of future regional governance. This is the strategic-thinking which fuels the bizarre competitive logic of Big Tech utopianism, and which sits as the political kernel of future visions. It is the rhetoric of the real-life Gavin Belsons of Silicon Valley. ‘The more we connect, the better it gets.’ Internet.org. 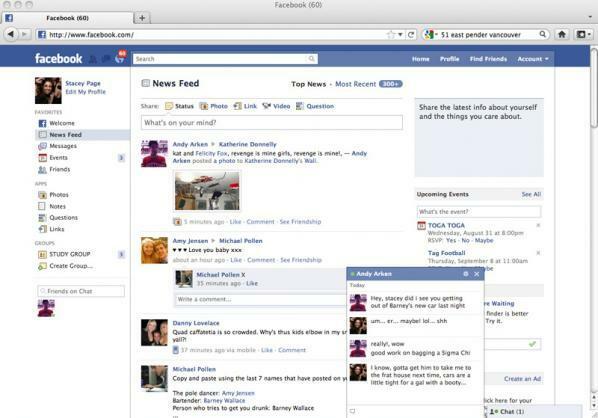 By determining that there is a crisis of disconnection, Facebook prepares the ground for its resolution in the form of projects such as Internet.org. The idea that a global community of connected Facebook users can level the systematic inequalities in wages, living standards, and welfare provision inherent to globalized capitalism is a resolution that erases the multiplicity of forces acting upon a complex array of interacting crises. In making this erasure, Facebook’s logic of development draws an uncomplicated line of progression from ‘unconnected’ to ‘connected’ subjects. Such thinking is as obviously reductionist, and contestable, as the pathways that lead from ‘boy’ to ‘man’, ‘young’ to ‘old’, ‘civilised’ to ‘uncivilised’. These binary terms edifying developmental logic are laden with normative significance, implying a way of thinking about the world that presupposes and prescribes a certain way of living within it. The interconnected and complex issues that contribute to global inequality—institutional structural biases, discriminatory trade relations, the experiences of colonialism, the exploitation of resources, to name but a scant few of a vast number—do not even come into the equation. In this schematic, Facebook’s own position in relation to these matters is unacknowledged. Furthermore, the position of humans as ‘Facebook users’ worldwide is not only rendered as neutral, closing off debate around value production and labour processes in digital capitalism, but positively imbued with some sort of higher moral purpose. 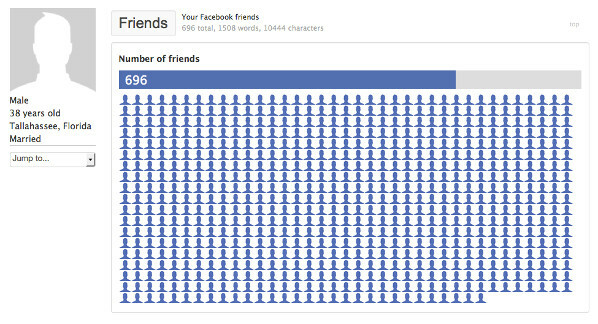 What does it mean, then, for Facebook to imagine a time beyond crisis? To offer a resolution to the ‘problem’ of global disconnection? As Antoinette Rouvroy would argue, such thinking inoculates the present and ‘forecloses the future’. A Network Diagnostics query card. This example of Internet.org does not simply aim to expose the economic incentives lurking behind such seemingly benevolent global projects—these motives should be obvious enough already. Rather, we hope to have opened up the conversation surrounding these future visions, and the possibility of techno-fixes in general, as a means to question how we as humans come to know, relate to, and interact with both the technological era we inhabit and the perceived ‘crises’ of our time. 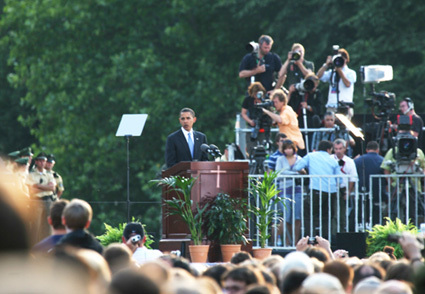 We suggest that determining the political qualities of a ‘crisis’ opens an essentially creative and interpretative space—one that leads to a recognition of both vulnerability and empowerment. To situate yourself within the field of imagined problems and potential resolutions is to shape the possibilities of your subsequent action. Being exiled from this process, by virtue of being exterior to the kind of walled-off discussions leading Internet.org’s various initiatives, leaves us neither vulnerable nor empowered. Rather, we find ourselves neutralized in the analytical inertia of solutionist design fictions and the galleries of seductive techno-fixes rendered within. If solutionism presupposes techno-fixes which close off alternative paths of action, Network Diagnostics intends to provide a space that expands our ability to think beyond these prescriptive future visions of Big Tech. Using ‘troubleshooting’ as a methodological tool, we propose to collaboratively examine not just what such visions include, but, perhaps more significantly, what they leave out. We aim to hold open a space for creative analytical discussion, whilst shirking the call to find a rigorous ‘fix’ to what we discover. In doing so, we hope to invigorate the modes of analysis available to those interested in the relationship between humanity and technology in the era of big data capitalism. Our collective diagnostic of the future ultimately hopes to help people understand, live within, and resist the conditioning forces we currently face in the present. Whilst we are not proposing solutions, and we do not claim to have fixed the crisis of analytical inertia wrought by the pressure of technological advancement, our practice uninhibits critique by recognizing the empowerment of claiming vulnerability, and problematising the relations at work in foreclosed, prescribed crises. Whereas Facebook and other such organisations strive to ‘move fast’, we suggest that we should dwell thoughtfully in the process of diagnosis in an effort to self-reflexively decouple the crisis from its readymade solution. Niall Docherty is a PhD candidate at the Centre for Critical Theory at the University of Nottingham. His research involves an analysis of Facebook within the neoliberal context of its inception and current use, through the frames of governmentality and software studies. 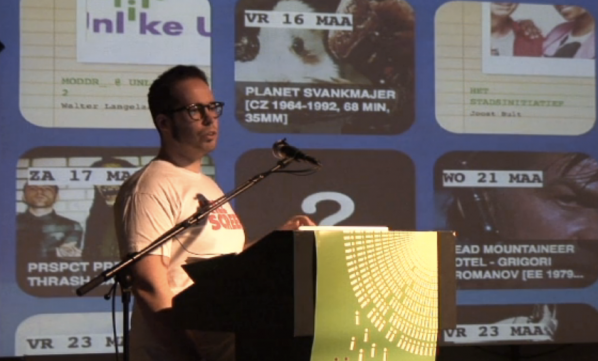 Dave Young is an artist and a M3C/AHRC-funded PhD candidate at the Centre for Critical Theory at the University of Nottingham, and is currently researching bureaucratic media and systems of command and control in the US military since the Second World War. X (2017). ‘Balloon-powered internet for everyone’. Microsoft (2015). ‘Productivity Future Vision’. Gonzatto et al (2013). ‘The ideology of the future in design fictions’. Morosov, Evgeny (2013). ‘The Perils of Perfection’. Zuckerberg, Mark (2017). ‘Building Global Community’. Facebook (2017). ‘Company Info: Culture’. Internet.org (2017). 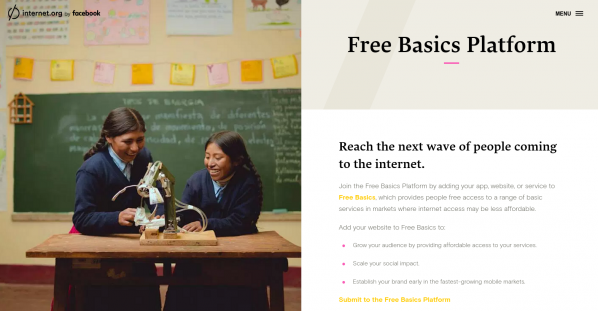 ‘Free Basics Platform’. Rouvroy, A. (2017) ‘Revitalizing Critique Against the Critical Sirens of Algorithmic Governmentality’, talk given at the Westminster 6th annual ICTS and Society conference, May 21st 2017.